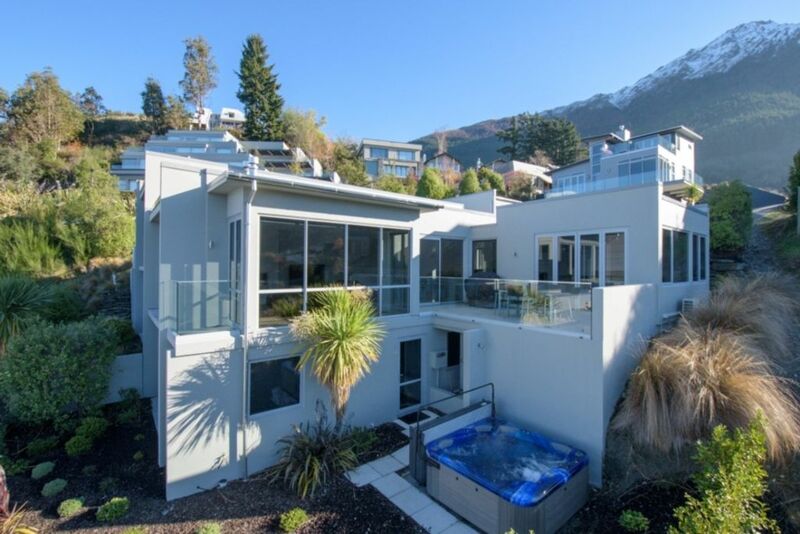 Come and stay at this beautifully presented holiday home that has stunning, panoramic lake and mountain views and is located in a quiet location yet conveniently located to Queenstown. Wake up to these amazing views and enjoy a coffee on the terrace before heading out to an adventure filled days; be it skiing, hiking, biking, sight seeing or wine tasting is all on your back doorstep. Ataahua is perfect home for relaxing holiday in Queenstown. Return in the evening and enjoy a relaxing spa or a BBQ on the outdoor terrace that over looks Lake Wakatipu and the surrounding mountains. Or just relax in front of the gas fire and connect with your family and friends with free wifi or catch a movie on the Smart TV with DVD, Netflix capability, Apple TV, or steam music from; so many options. Sharlene & Kylie are your dedicated managers and are available during office hours Monday to Friday 9am – 5pm. An on call Property Manager is available for after hours emergencies only. Extras: Cleaning Fee (included); Linen (included); NOTE: Under Kiwi bach tradition you are expected to: Leave the house in a tidy, clean condition and do the dishes before you leave. Amazing, panoramic views, beautiful well appointed home and great location too. We loved our stay at Ataahua! This is a beautiful home and very well appointed. We had everything we needed for our family of 6. This home is a wee bit out of town but it is worth the lake views. The neighborhood was very quiet and the atmosphere completely relaxing. We loved our stay here. Fantastic View, comfortable beds. Great stay! Spectacular views, Very comfortable for 3 couples. Enjoyed nearby restaurants. Amazing views, modern clean and tidy property. Amazing views, modern clean and tidy property. Would highly recommend. Perfect all round! Friendly staff and the place itself is not justified with pictures.